Check out this recent trade-in now available at Boruff's Automotive Gallery in Sparta, a 2014 Toyota Corolla LE CVT! 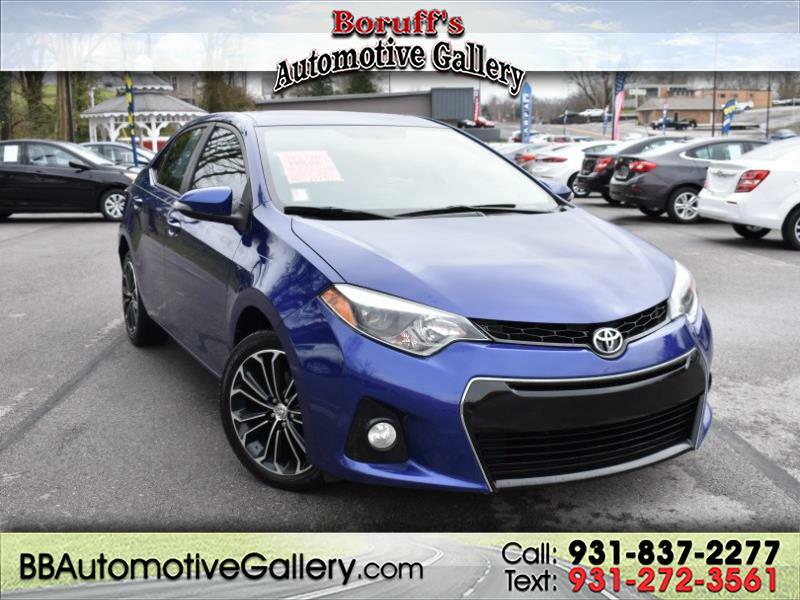 This sharp blue Corolla has several great features, like, AM/FM CD/MP3 premium satellite radio, power steering, power windows, power locks, steering wheel mounted controls, keyless entry, back up assist camera, leather trimmed seats and more! Stop by and check out this great Toyota Corolla today! Additional pictures and a free Carfax Vehicle History Report are available on our website. Go to www.bbautomotivegallery.com to see our entire inventory! Apply for financing safely on our secure website. Call 931-837-2277 or Text 931-272-3561 today for more information. We welcome all trade ins. Come see us today at Automotive Gallery 128 East Bockman Way Sparta,Tennessee!